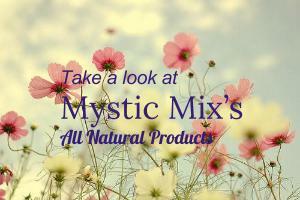 Home Uncategorized What’s Your Number Mystic Mix Community? Numerology is the study of numbers and their influences on us. It is also a symbolical study of rhythm, cycles, and vibration. The exact origin of numerology is discretely buried in the mists of time. It could be said that numerology has been around since the beginning of time! In its most esoteric form numerology was set in motion by the Creator. It is related to astrology, a better known associate of symbolic investigation. They both work with the relationship of angles and vibrations through the cycles of time, space and evolution. The study of numerology began with mans desire to understand the relationship between himself and the cosmos. Numbers were always significant in the Sanskrit of the ancient Hindu culture. Modern numerology, in its evolution, has also been influenced by the Arabic system of numbers. Another important resource comes from studying the tradition and symbolism of the Kabala. The Orient also gave tremendous value to numbers. The Bible similarly contains a profound history of symbolism based upon numbers. In all of these cultures, there is a wealth of undiscovered wisdom through the esoteric teachings of their numerical traditions. Pythagoras, a Greek philosopher born between approximately 600 and 590 BC is credited with being the most influential person in promoting interest in Numerology. Pythagoras founded a school where the instruction of mathematics, music, astronomy, and philosophy was conducted in conjunction with esoteric wisdom. He taught that divine laws are expressed in the mathematics of numbers. He wanted to explore the relationship between man and these divine laws. Upon his philosophical strength the study of numerology, as it is today, has been established. We are paying more and more attention to the use of vibrations and frequencies in the new technologies of today. With the discovery of electricity, scientists and technicians were introduced to new ways of working with natural cycles. Radio, television, x-rays, and sub-atomic cycles, are some facets of modern technology that have opened the door to greater study and application of the principles of cyclical oscillations. Now we are being made aware of the biorhythm cycles and just how important it is to be aware of the cyclical patterns in our daily life. Physicists have discovered that materials previously defined as inert, have their own consciousness, established by their rate of vibration or frequency. The discoveries in quantum physics and astrophysics are exposing daily astounding things about our universe and our relationship to it. More understanding of the GUT (Grand Unified Theory) is published daily. The study of numerology may actually hold the key to understanding the GUT, first hand. The study of numerology can take you from observer of evolution to a conscious participant in it. Numerology helps us understand the cyclical patterns or qualities related specifically to the individual’s personal life. With such understanding, we can become the master of our fate, rather than a victim of destiny’s circumstances. This awareness is just as significant today as it was with the ancient seeker. In fact, it may be more meaningful today in an age of rampant materialism and existential crisis. If you would like to receive a free “personal” year 2014 numerology report, become a Premium Member today!